The AcuTherapy JetPak provides a targeted deep massage for the upper back and lower obliques along with a medium-intensity quick pulsating massage for the mid back. If you need neck, upper and low-back stress relief combined with mid back relaxation, this is the JetPak for you. The Wellness JetPak combines a variety of different massages into one amazing spa therapy experience. With medium intensity rhythmic pulsating massages in your shoulders and lateral muscles and a direct high-intensity deep tissue massage in your lower back, you’ll feel better as you improve your health and well being. 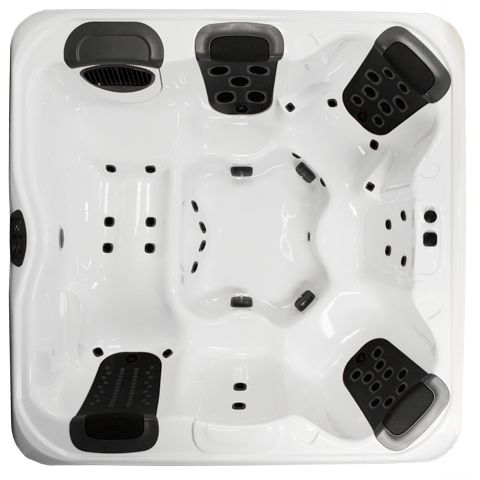 Perfectly Aligned for Pain Relief The Alleviate JetPak features 8 medium-intensity direct jets that are perfectly aligned to massage almost all key muscular regions across your back. You will find that this exclusive JetPak massage does exactly as its name suggests – alleviating aches and pains in a way no other hydro-massage can. Available on the A8, A8L, and A8D models. A soothing tropical waterfall right in your own backyard. 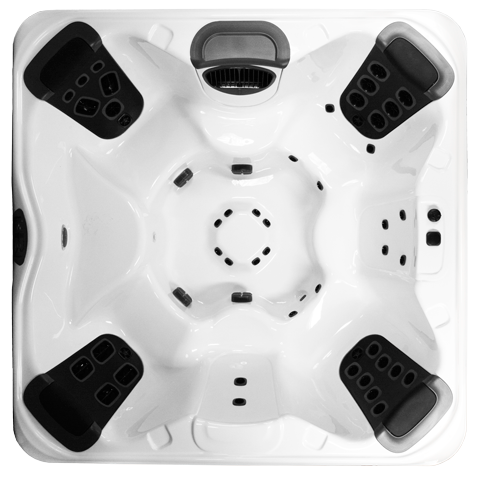 The Cascadia JetPak provides a gentle and relaxing 4-point back massage while showering your neck and shoulders with a calming warm waterfall feature (not pictured). The ambient sounds of falling water complete your perfect at-home spa experience. 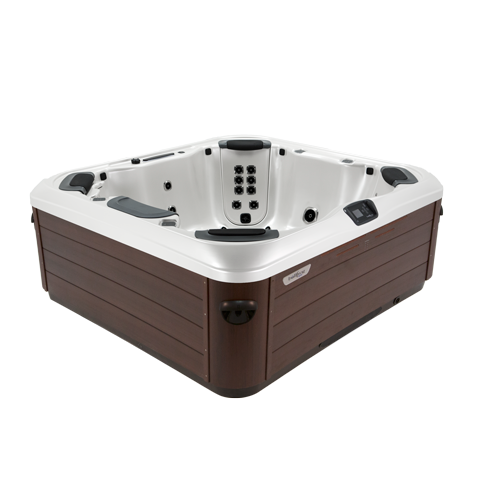 The DeepRelief JetPak features 10 targeted high-intensity jets that provide a penetrating massage for maximum relief of aches and pains. This unique hydromassage is aligned to target specific muscle groups in your back known to harbor tension and stress. A few minutes with the DeepRelief will help recovery after exercise and completely relieve stress and tension. The FibroTherapy JetPak is a combination massage engineered in conjunction with expert health consultants to provide maximum relief of daily aches. A unique kneading massage relaxes your lower back while deep penetrating therapy in the area of your thorasic vertebrae helps you relax and feel well. 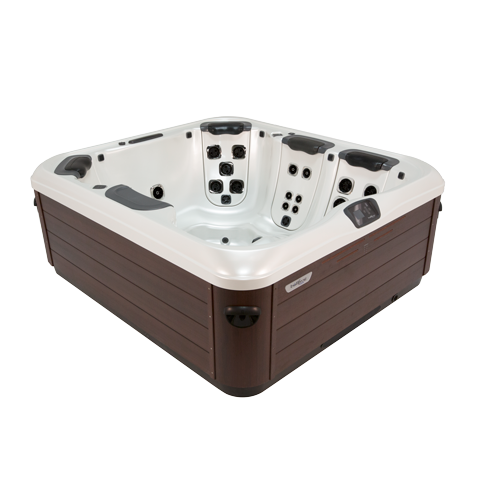 Perfectly Aligned for Pain Relief The Gyrossage is a favorite JetPak that offers a deliberate full-back rythmic massage. 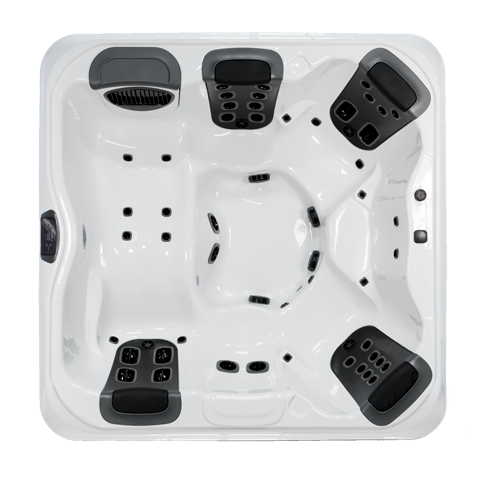 The 5 large jets offer a slower, more deliberate, pulsating action that covers nearly the entire surface of your back with a soothing medium-high intensity massage that nearly everyone enjoys. The slower pulse of the massage creates a calming sensation and helps you achieve a relaxed meditative state. The Lumbar JetPak is a combination massages that targets key pressure points in your middle lower back with a deep penetrating hydromassage and your mid back with a medium intensity massage. This exclusive JetPak will help you to treat this tension and pain in an area of your body that is key to lifting, walking, running, and many other movements without leaving the comfort of your own home. The NeckBlaster JetPak features the most neck and shoulder jets of any hydromassage in the JetPak lineup. Focused medium intensity neck and shoulder jets warm and massage those muscles known to tighten with stress and help alleviate built up tension. This one-of-a-kind massage will help you to eliminate the affects of too much stress and return you to your daily activities fully relaxed. Your NeckMasseuse JetPak offers a vigorous and penetrating high intensity neck massage with direct pressure jets specifically aligned to treat tense neck muscles. 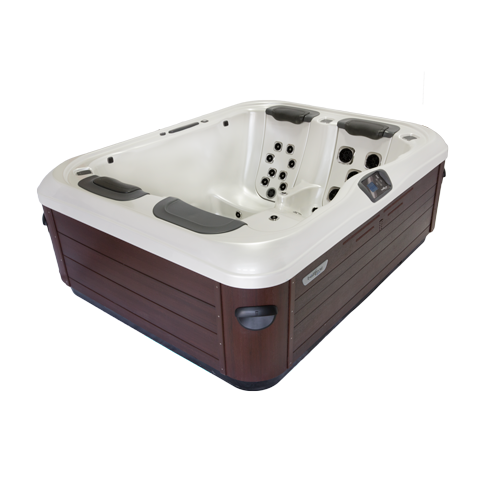 At the same time, you’ll enjoy a medium intensity pulsating massage in your upper and lower back. This is the JetPak for those that want maxiumum targeted neck therapy. 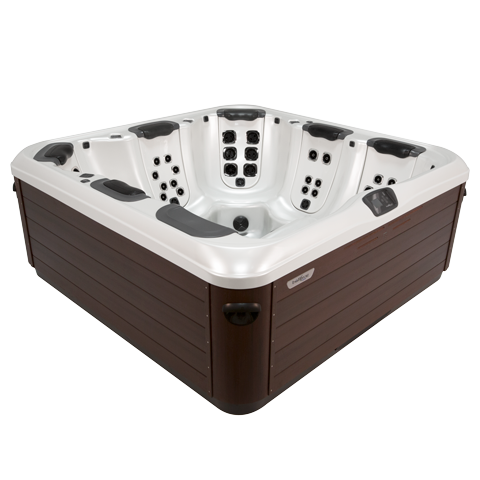 Always one of the most popular JetPaks, the Oscillator is your on-demand masseuse in your own home spa. 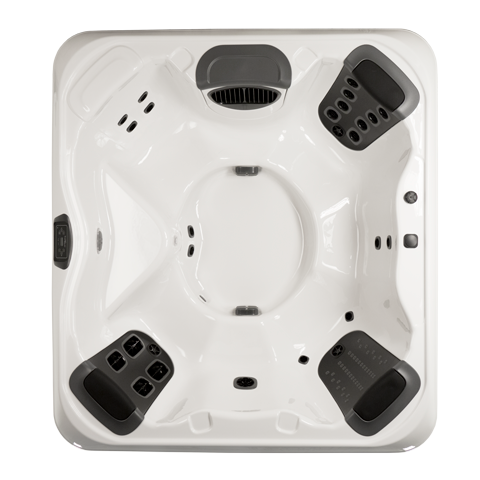 This unique wide-ranging therapy experience utilizes 4 of Bullfrog’s exclusive Oscillator jets to provide a soothing kneading massage covering a wide area of your back with a gentle to medium intensity slow pulsating feeling. The effect is maximum relaxation. 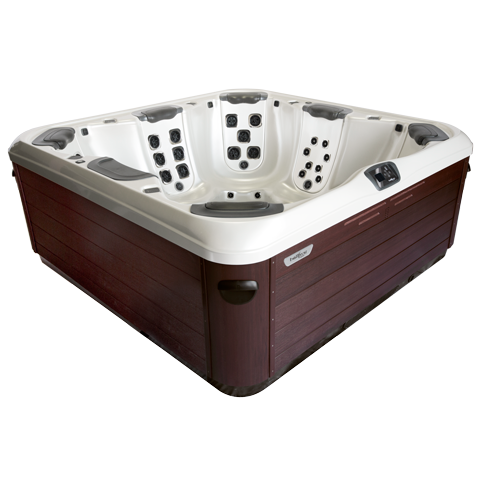 The Pulsator is a favorite of many offering a medium-fast speed pulsating massage at a medium intensity. 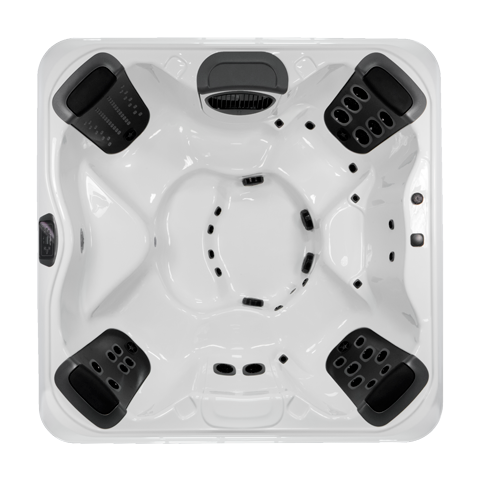 With 6 rythmically rotating dual-pulse jets perfectly aligned to pressure points across your entire back, the Pulsator JetPak will transport you away to a place where stress and worry just don’t seem to exist. 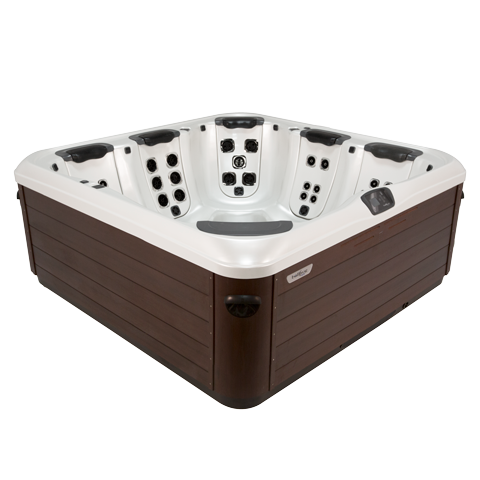 The RainShower JetPak provides a soothing massage that is like nothing else in hot tub therapy. 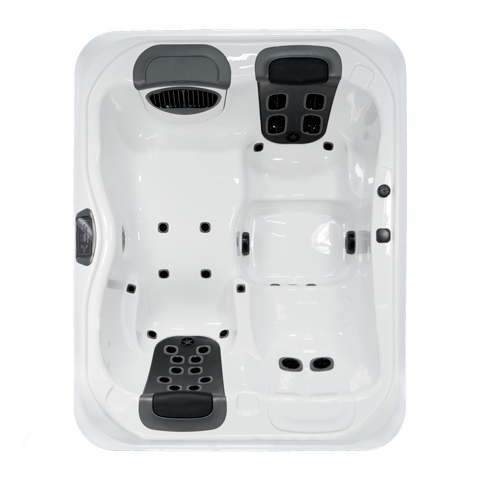 This favorite JetPak is perfect for those times you prefer a gentle all-over hydromassage experience that is not too strong. With 42 of Bullfrog’s exclusive ShowerJets, you will experience a smooth soft surface massage that melts away your cares and worries. The SpinalHealth JetPak gives your tense and aching spinal muscles a penetrating therapeutic massage. Each individual jet is aligned to target the muscles nearest your spinal column with a deep and intense direct-pressure hydromassage. The effect is a rejuvenation of sore spinal muscles and a feeling of energy you are sure to appreciate. The Spinalssage JetPak is a simple, yet highly effective massage. Each of the 2 rotating jets are positioned to align with points along the spine where tension can build and be stored. The pulsating sensation is simple, yet very therapeutic and relaxing. In addition, because this JetPak uses less water flow than most, it can also be used to optimize water flow rates to your other JetPaks across the spa. 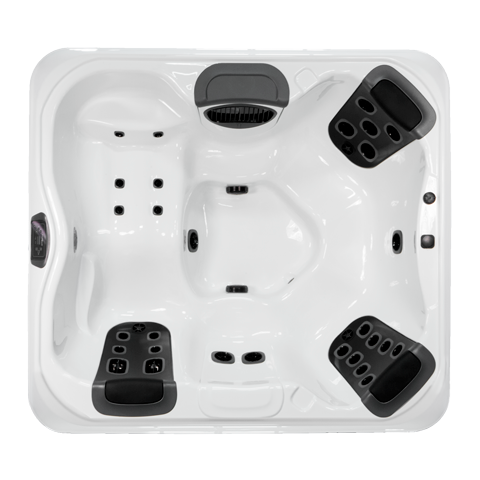 The Versa JetPak offers a comprehensive and varied massage experience. 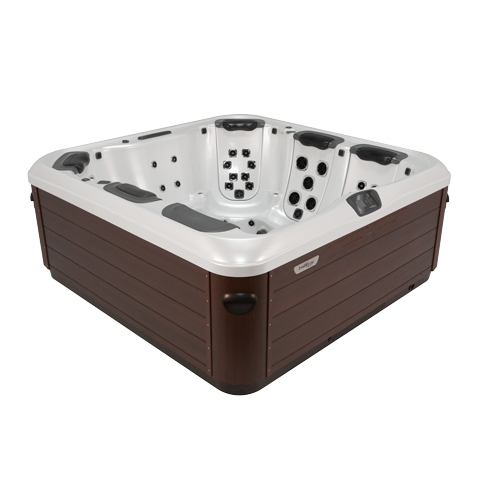 With a strong direct shoulder massage, a mid back kneading action and steady pulsating massage for the low back, this massage is just right for the person desiring both relaxation and therapy in the same seat. Copyright © 2018 Thursty Pools Inc.